Adobe is moving to account-based licensing instead of serial-based licensing. This means that moving forward your access as CalArts Faculty or Staff to Adobe products will be through the Creative Cloud Desktop application and an Adobe account. The good news is CAIT has created this account for you, and it's your CalArts email address! The following steps are only for Faculty and Staff on CalArts-owned devices. If you're using a computer managed by CalArts IT, check your installed applications, the Creative Cloud desktop app may already be installed. If you don't see it, let us know. All CalArts IT-supported computers will have a Property of CALARTS sticker on it. If you're using a non-IT supported device (no Property of CALARTS sticker), feel free to download and install the Creative Cloud desktop app here. Upon launching the Creative Cloud for desktop app, the icon will either be on the top-right menu bar (on a Mac) or the on the taskbar, inside of the system tray (on a Windows PC). Both pictured below. If you click on it, you will be brought to an Adobe Sign in page. Whether you've ever created an account or not, enter your CalArts email address and click either Sign in or press Enter on your keyboard. You will not need to enter a password on this screen. After entering your CalArts email address and clicking either Sign in or pressing Enter on your keyboard, you will be redirected to a Google login page. Enter your CalArts email address and then your password on the next screen. If your sign-in is successful, you'll see something similar to the image above. If you're ever prompted by Adobe to enter a password, your Adobe ID password is the same as your CalArts email password. Click here to continue the installation process. After entering your CalArts email address and clicking either Sign in or pressing the Enter key on your keyboard, you should be redirected to a screen that allows you to choose whether to sign in using your Personal account or your Company or school account. 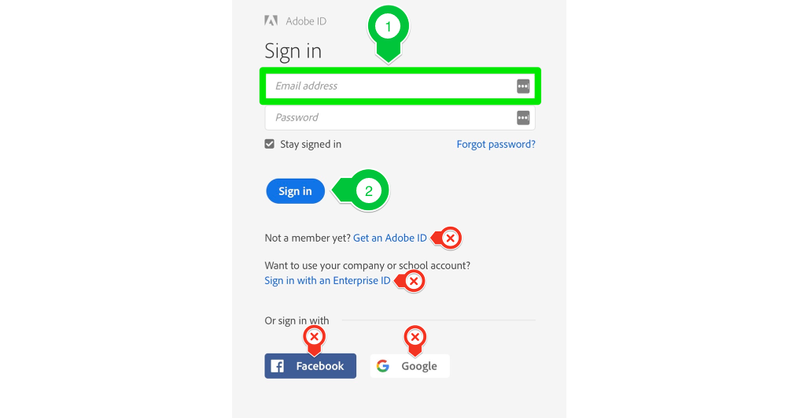 If your subscription for your personal Adobe account is still active, on your personal computer, you'll choose Adobe ID -- Personal Account when prompted. If you're ever prompted to enter a password, your Enterprise Adobe ID password is the same as your CalArts email password. Your Personal Adobe ID password will remain unchanged. The Creative Cloud for desktop app allows you to quickly install, launch, and update your desktop apps stored in Creative Cloud. Depending on whether or not, you've previously had one of our Adobe Packages installed on your computer, you'll either have options to install new applications or update the existing versions of your current applications. 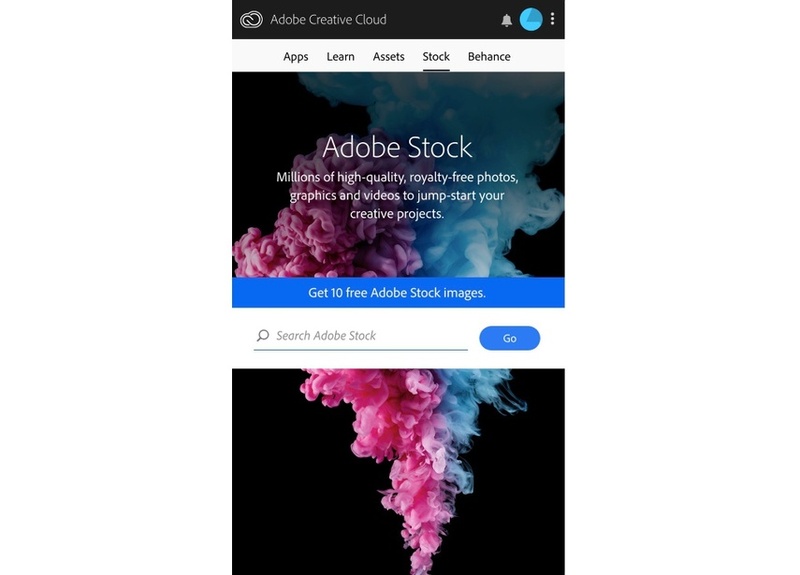 Once installed, you will be able to access your downloaded application through your Applications folder/list or also through the Creative Cloud for desktop app. 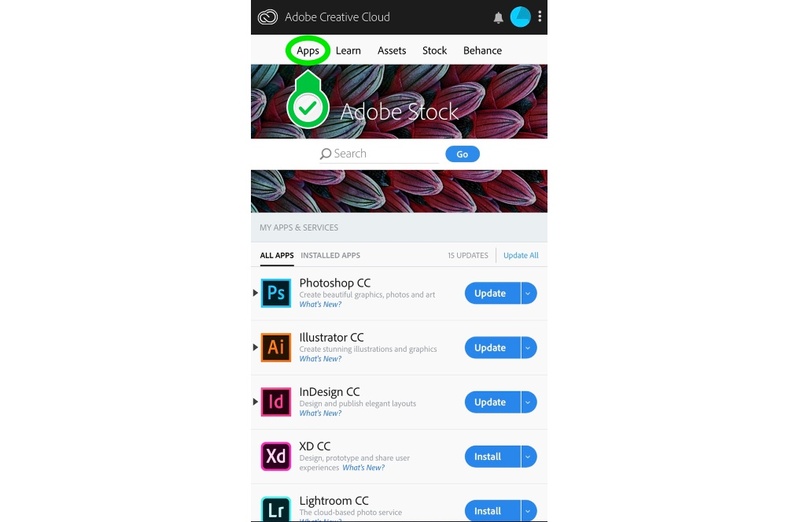 For more information on more features of the Adobe Creative Cloud for desktop app, click here. I received an error: Access Denied - You do not have access to this service. 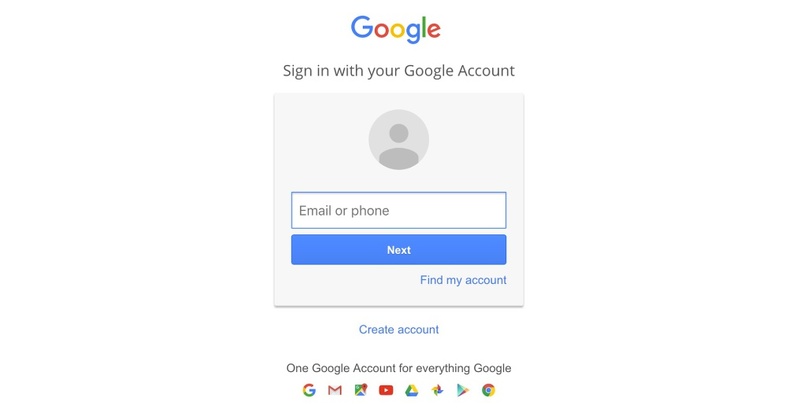 If you see the notice above, check to make sure you entered your CalArts email address and password correctly in the Google login screen. If you've entered your CalArts email address and password correctly and you still receive this error, let us know here. We have noticed, some users, after logging into the Creative Cloud for desktop app, do not see a tab for Apps. You should now see the Apps tab. Let us know, if you have any issues.